Now our most-loved Syrah, this wine was introduced as a one-time bottling in 2002 after a wild fire struck the vineyard’s surrounding hillsides. 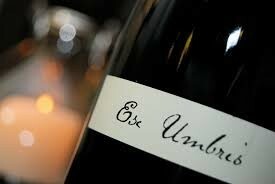 The residual ash and smoke resonated in the Syrah grapes, creating a very memorable wine. Year after year, we are asked to develop a Syrah to keep the story of this wine alive! Now, 10 vintages later, we hope you will enjoy this bold Syrah comprised from several exceptional vineyards in the Columbia and Yakima Valleys. Staff Tasting Notes: Aromas of fresh red plums, menthol, sarsaparilla and leather lead to a silky palate brimming with ripe plums, blackberry cola and clove. Soft tannins linger on the finish.